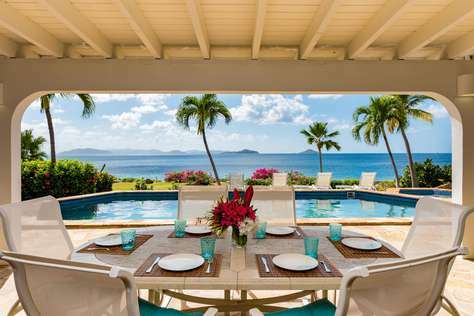 Villas Virgin Gorda is pleased to welcome Water’s Edge Villa to our roster of villa rentals on Virgin Gorda located only three minutes from The Baths. We are pleased to welcome Christi Maddox to the Villas Virgin Gorda team. We had some rain in April and as a result the island is in full bloom. It is a great time to visit Virgin Gorda! Off-season rates began on May 1st and we have great rentals for every budget. Let us help you plan your perfect Caribbean vacation. We will be sharing new photographs of Villa Somoya in the next week or two. In the meantime, here is an aerial view taken with a remote controlled drone. 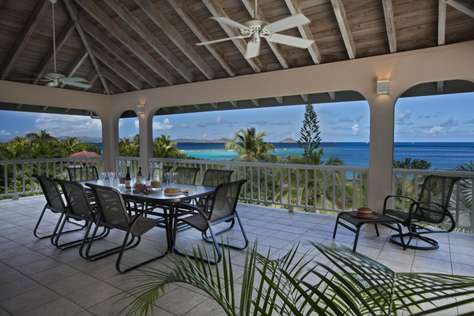 The views from Somoya's hilltop location are amongst the nicest on Virgin Gorda. Let us know when you are ready for a visit. We are pleased to introduce the newest member of the Villas Virgin Gorda family.